Or, what is a SIP? Even though some form of SIPs have been around since the 50’s, they are still a fairly new concept for the building industry today. Since not all SIPs are created equal, we’ve assembled information that we hope will be a valuable resource when making a decision to choose Greenix Panel SIPs for your project. 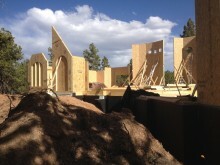 Greenix Panels provide the best thermal/structural envelope available today. 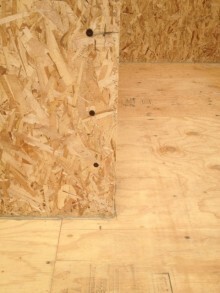 While most commonly used for exterior walls, SIPs can also serve as a load-bearing floor and ceiling/roof system. Our Greenix Panels are designed to carry the entire range of structural loads in a building and are manufactured by machine injecting polyurethane foam between two surface facings. As part of each panel, structural elements add tremendous strength. 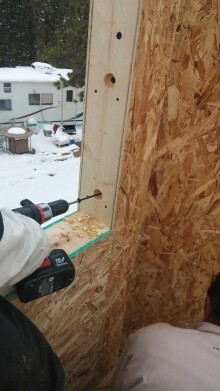 These panels are joined together via an embedded, interlocking tongue-and-groove or the additional cam-lock connection ensuring a sealed, tight fit. A typical 3″ to 4 1/2″ thick panel has an R-value of R-25 or higher. A 6 1/2″ thick panel has an R-value of R-40 and is typically used as roof panels to meet most building R-Value requirements. 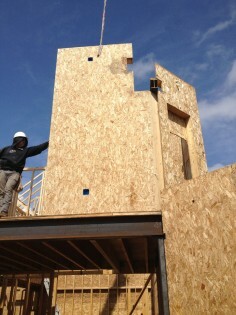 When you specify Greenix Panels you are asking that your project be built with the top-of-the-line panel. While our general features can be found with many SIPs in the industry, we’d like to show some of the differences that are not generally available with other SIPs on the market today. Per spec, Greenix Panels are constructed with conduit and electrical boxes inside the panel frame prior to being “foamed-in” in the factory for complete adhesion to all assembled components for structural strength and elimination of air pockets. The combination of SIP technology and advanced manufacturing practices has enabled us to deliver a superior panel for the marketplace. All panels are “framed and foamed” in the factory for quality control. 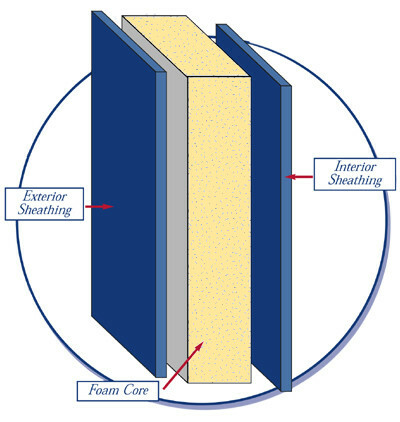 The polyurethane foam is injected in between the sandwich facings for a “melded or meshing” adhesion, not your typical glue and press method, typical of all EPS SIPs and most other SIPs in the marketplace today. We continue to develop the latest Panel technologies for production and to serve the growing client demand for SIPs on a mass market scale.